As Consumer Reports Best Buy Drugs advises women to consider alternatives before buying Oxytrol to treat overactive bladder, sometimes the best solution is a combination of nutrition and lifestyle changes. There are many cases where prescription medications may not be the best or only solution. Sometimes a medication isn’t as effective as hoped or its side effects overshadow the relief it provides. Possible side effects of patches and pills to treat overactive bladder can include dizziness, blurred vision, dry mouth, mental confusion, skin rash at patch application site and constipation, according to The Washington Post article. Constipation can also contribute to incontinence when compacted stool causes nearby bladder nerves to become overactive. Monitoring fluid intake: Common sense says drinking too much fluid can overwork a bladder, but dehydration from drinking too little can cause urine to become concentrated with bladder-irritating salts. It can be helpful to keep a daily journal of fluid intake and bathroom visits to determine patterns. Keeping a record also assists health care providers in monitoring a patient’s condition if needed. Avoiding bladder irritants: For those with bladder control problems, it may be helpful to limit alcohol and caffeine. Both are bladder stimulants and diuretics, which can cause a sudden need to urinate. Even teas and carbonated beverages may contribute to bladder problems. Other known irritants are sugar and artificial sweeteners, corn syrup, spicy foods, and acidic foods such as tomatoes and citrus. Increasing fiber: Eating a high-fiber diet can help prevent constipation. Insoluble fiber helps move stool and is found in vegetables, wheat bran and other whole grains, nuts, beans and berries. Soluble fiber helps soothe the digestive tract and is therefore often recommended for those who suffer from irritable bowel syndrome. Soluble fiber is found in fruits such as apples and oranges, pasta, white bread and potatoes. Practicing Kegel exercises: Keeping pelvic muscles strong is important at any age. A doctor may recommend Kegel exercises, which are done by tightening and strengthening the pelvic muscles. This non-surgical way to improve bladder control can be practiced discreetly for just 5 minutes at a time. Here’s how to do Kegels. The symptoms of overactive bladder, such as feeling the need to use the bathroom eight or more times a day, can be caused by other conditions and medications, too. See your health care provider to rule out other possible conditions, such as a urinary tract infection, and tell her about any medications you’re taking. Visit our Incontinence page to read more about types and treatments, or stay on our blog to read more about the good, the bad and the ugly sides of Oxytrol. 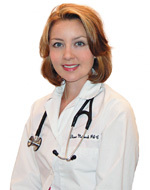 Dianna Malkowski is a Board Certified Physician Assistant and Mayo Clinic trained nutritionist specializing in diabetes, cancer, wound healing, therapeutic diets and nutrition support. She serves on the board of professional advisers for The CareGiver Partnership and enjoys working with patients and caregivers alike. Ask Dianna a question, or call The CareGiver Partnership at 1-800-985-1353.